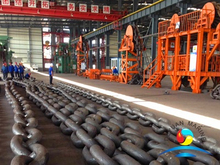 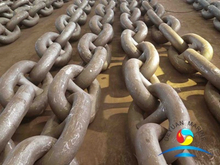 Marine anchor chains are made of metal,chain diamter start from 12.5MM to 162mm,2grades available, grade 2 and grade 3, all our marine anchor chain are tested by UT and MT detection, also do proof and loading test. 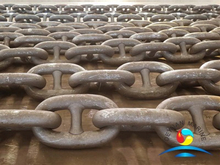 Our target is to make sure every chain would be at perfect quality before leaving factory. 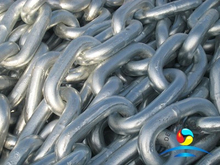 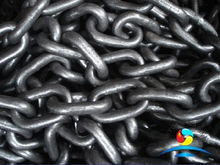 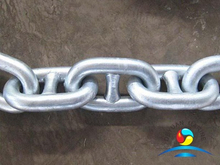 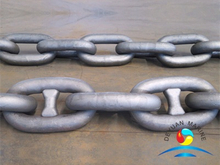 Apart from that,our marine anchor chains all approved by any classification society like ABS, DNV, RINA, LR, BV, CCS, BKI etc. 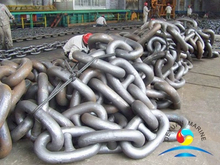 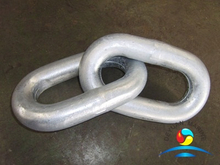 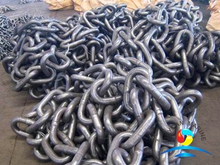 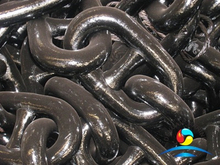 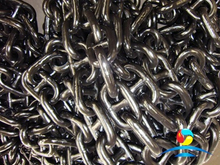 If you are looking for any marine chains,choose us,you will get a best and reliable supplier.